This past weekend, my dog Dotty and I participated in the 19th Annual Dog Walk for a nearby county humane society. 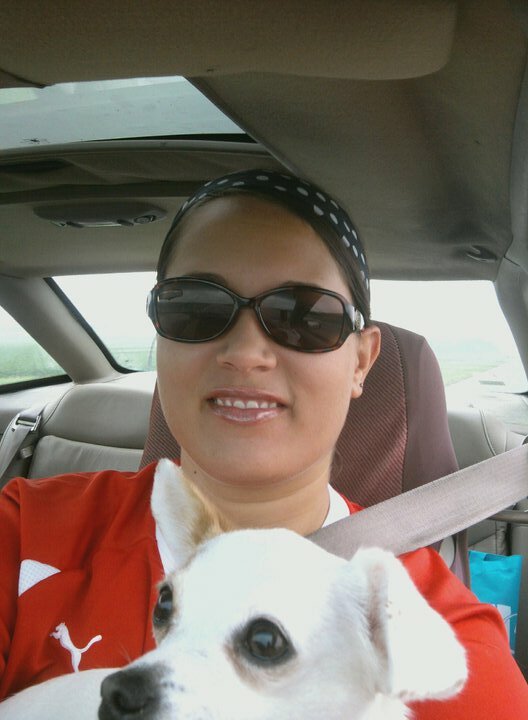 Dotty got sponsors from friends and family, and raised $110 dollars to help the homeless animals at the shelter! She was very happy to help, and she had a blast at the dog walk too. 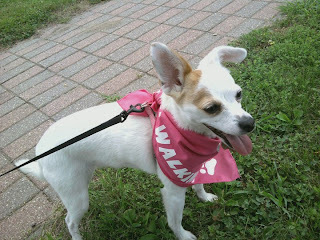 We did the 2-mile walk and Dotty was so proud to wear her new pink bandana that she got for the Walk. 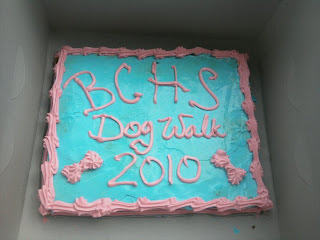 I received a BCHS t-shirt that I put on for the walk too. 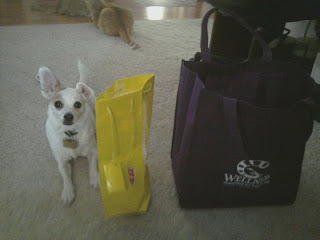 Plus, we donated used cell phones and Dotty got some treat bags for recycling them! 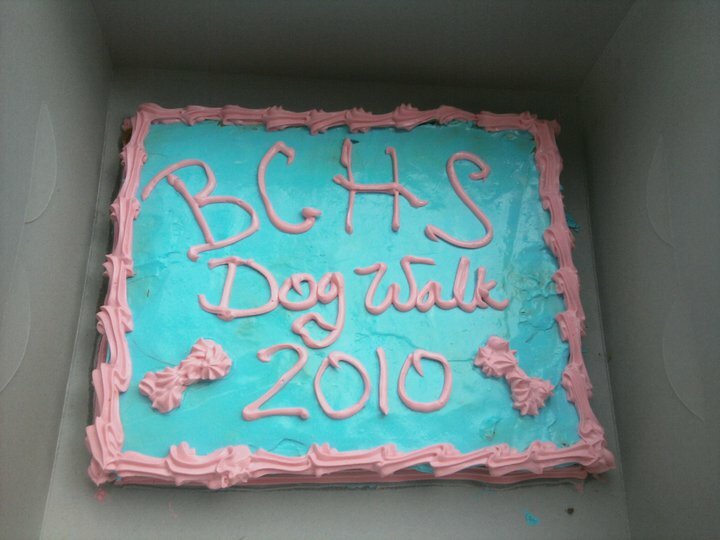 Someone donated a tasty doggy cake that Dotty got to try! 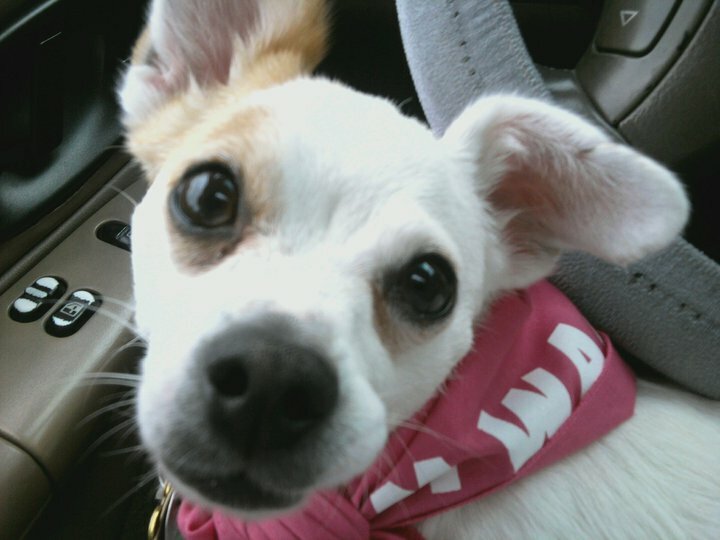 "Aww can't we stay a little longer?" Dotty couldn't wait to see what was in her goodie bags.